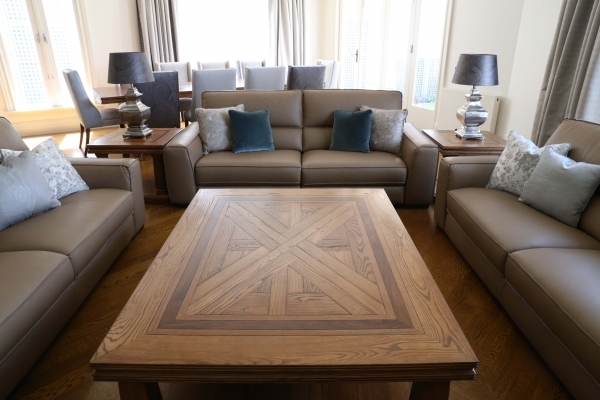 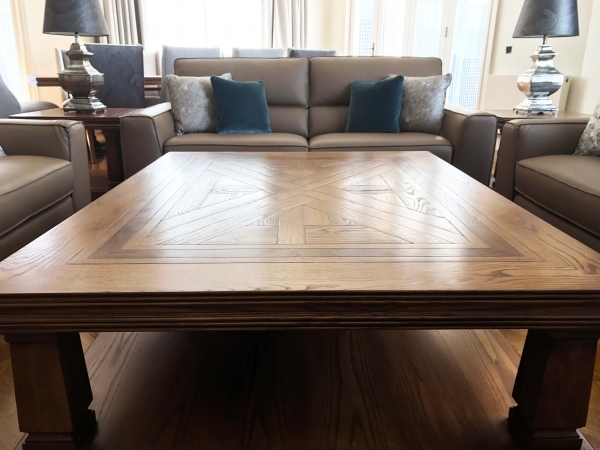 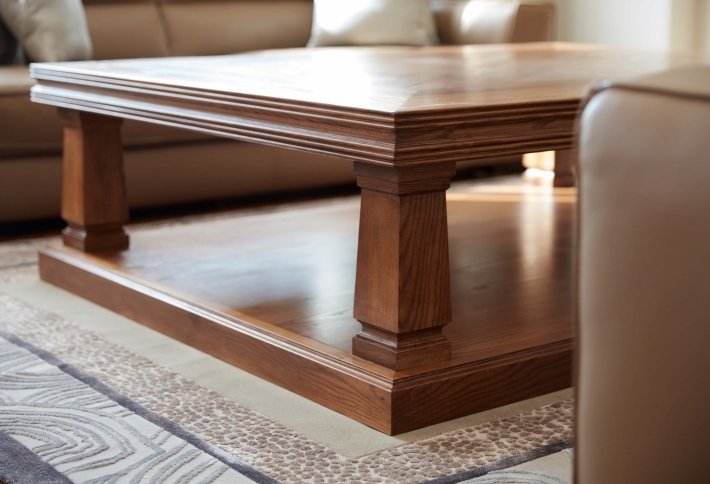 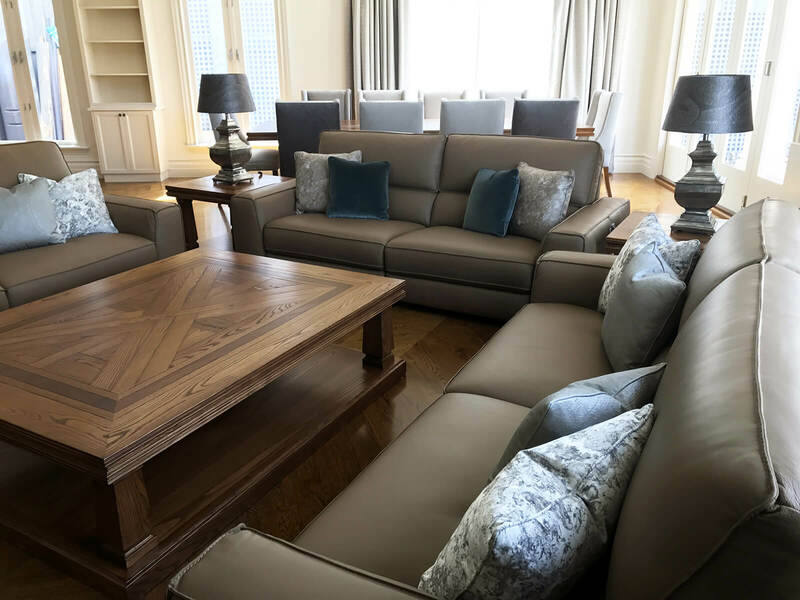 Australian made parquetry coffee table hand crafted using European and American Oak timbers. 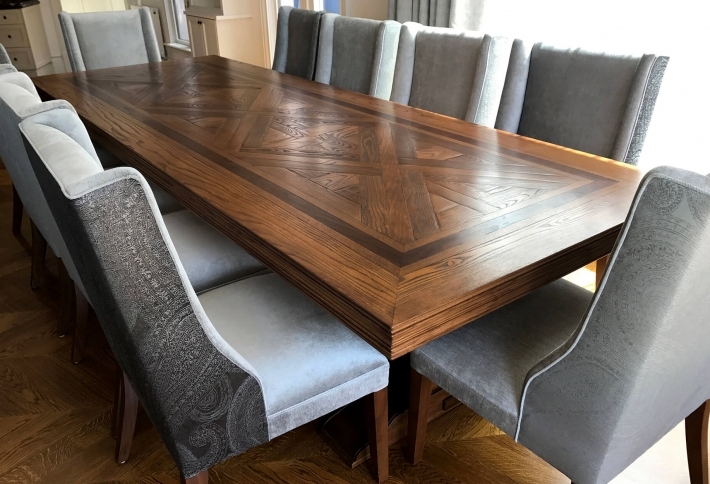 Design showcasing custom parquetry top with contrasting walnut border, tapered column legs at each corner and lower base magazine shelf. 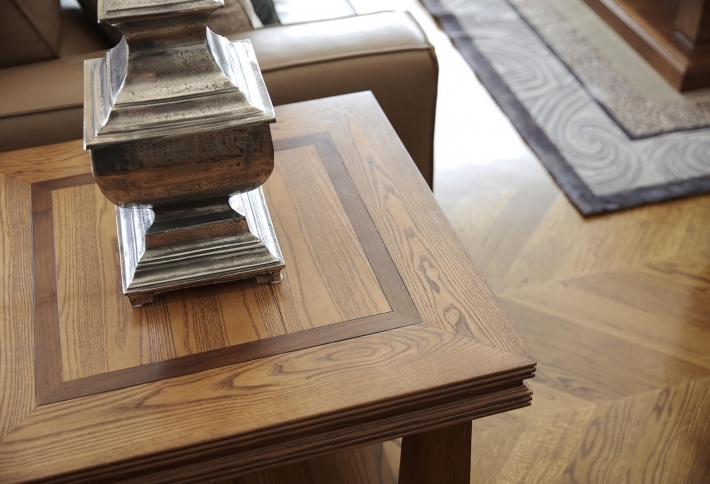 Matching side tables available.